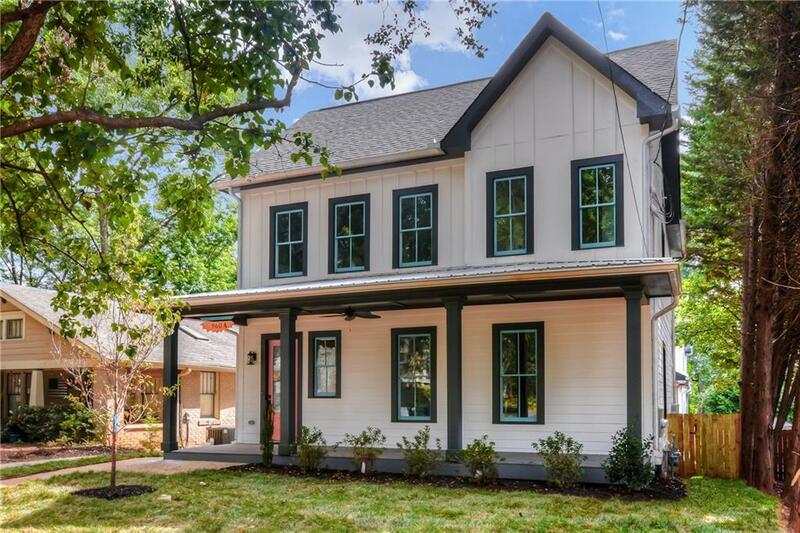 This 4 bed/3 bath Attached Urban Rustic home w/ coastal design accents by Walsh Design is walkable to the Beacon & located in the Beltline Overlay. The main floor has 10' ceilings, hardwoods throughout, great room w/ a large dining area, open kitchen w/ a large island, fireplace, front porch, deck, mudroom, side yard entrance & minor master. The upper floor has hardwoods throughout, a master suite w/ large shower & bedrooms 3 & 4 share a jack-n-Jill bathroom & a separate laundry room w/ a sink. Large 2 car garage (accessed through mudroom) separates home from neighbor.